Jwaun Ward, an employee of Decatur Utilities, was randomly selected, along with five other employees, to take a drug test. This was the second time during 2012 that Ward had been randomly selected. On the morning of his selection, Ward was instructed by his supervisor, in the presence of other employees, to drive to the front office and to "go pee in a cup in front of the work group." Ward testified that he felt "humiliated, embarrassed, and belittled," according to his lawsuit. Ward also gave deposition testimony that during the previous months of May and June, the same supervisor had said that Ward "was going to be the first n that he fired [for failing] a drug test," and that he was going to make Ward take "four or five" more drug tests before the end of the year in an effort to "kill him with the drug test." Rather than drive to the front office to take the test, Ward went to the Superintendent’s office and said that he was going home, explaining that he was "not going to entertain his supervisor's request because of the way he asked." Ward then called the Human Resources Manager before leaving the premises and told her about his supervisor's comments. She told Ward that he was selected at random, and that if he refused to take the drug test, then his employment would be terminated. Ward left the premises, according to facts in the Judge's Order. Ward met with Utility Managers the following morning, to discuss the drug test and offered at that time to be tested. For the first time, Ward stated that he had suffered mistreatment from fellow employees and from his supervisors because of his race. Ward was suspended for refusing the drug test, and the Manager was assigned to investigate his racial allegations. 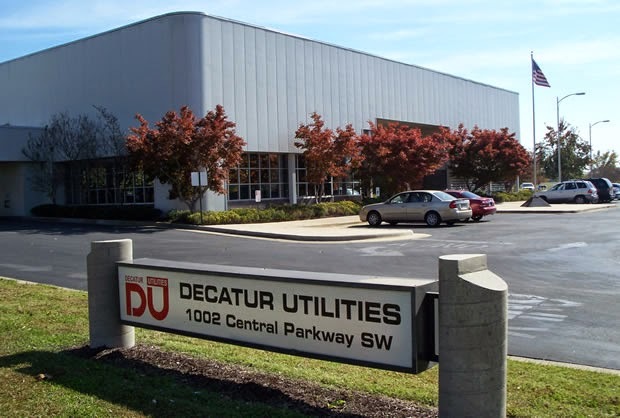 Ward was later informed during a telephone conversation, that he would be required to complete a drug awareness program in order to retain his employment at Decatur Utilities. Ward refused. The HR Manager later gave deposition testimony that if Ward had taken a later drug test and met with a substance abuse counselor he would not have been fired. Five days later, Ward’s employment with the Utility was terminated. On December 15, 2014, a Federal District Judge for the Northern District of Alabama granted summary judgment to the Utility on Ward’s race discrimination claim but found creditable evidence that Ward may have been retaliated against since he offered to take a later drug test but was not allowed to do so. The case is Ward v. Municipal Utilities Board of Decatur, Alabama. Common Sense Counsel: Consistently following a well drafted DOT compliant public entity drug testing policy is absolutely critical to avoiding these types of adverse outcomes. When an employee refuses to be drug tested that is a “refusal” under DOT regulation and cannot be remedied by a later offer to be tested by the employee. The Utility appears to have simply made the wrong call when faced with a difficult dilemma. 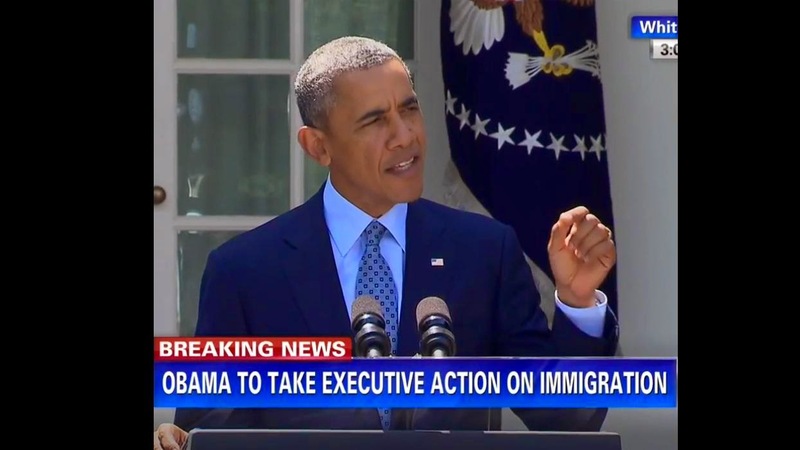 1) A larger pool of undocumented individuals will be eligible to receive work authorization. 3) Other proposals should improve our legal immigration system. Tommy Eden is a partner working out of the Constangy, Brooks & Smith, LLP offices in Opelika, AL and West Point, GA and Will Krasnow is a partner in Constangy's Boston office. Tommy can be contacted at teden@constangy.com or 334-246-2901. Blog at www.alabamaatwork.com with live links. Jesse Busk worked for Integrity Staffing Solutions, Inc., a temporary staffing employer requiring its hourly warehouse workers, who retrieve products from warehouse shelves and packaged them for delivery to Amazon.com customers, to undergo a security screening before leaving the warehouse each day. 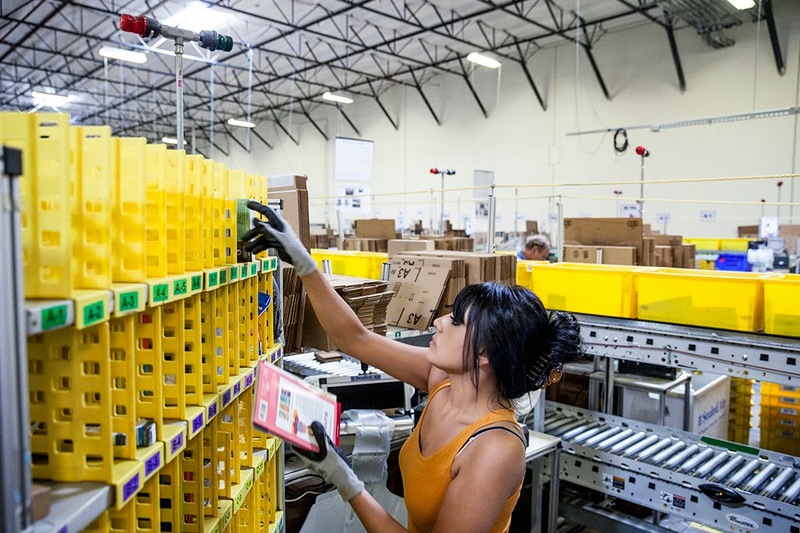 Amazon mandated the security check to reduce shrinkage from employee theft of merchandise. Sometimes Busk had to wait in line for 25 minutes after he clocked out before the screening was completed. Busk and several former employees of the company sued alleging that they were entitled to compensation under the Fair Labor Standards Act (FLSA) for the roughly 25 minutes each day that they spent waiting to undergo and undergoing those security screenings.They also alleged that the company could have reduced that time to a de minimis amount by adding screeners or staggering shift terminations. Because the screenings were conducted to prevent employee theft they claimed such were for the sole benefit of the employers and their customers and they should be paid to wait. The United States District Court in Nevada dismissed the complaint, holding that the screenings were not integral and indispensable to the employees’ principal activities but were instead postliminary and non-compensable. The U. S. Court of Appeals for the Ninth Circuit reversed asserting that post-shift activities that would ordinarily be classified as non-compensable postliminary activities are compensable as integral and indispensable to an employee’s principal activities if the post-shift activities are necessary to the principal work and performed for the employer’s benefit. This decision alarmed similar large warehouse operations nationwide. This week the United States Supreme Court held unanimously that the time spent waiting to undergo and undergoing security screenings is not compensable post-liminary activities under the FLSA. The Court reasoned that the security screenings at issue are not the principal activities the employees were employed to perform—i.e., the workers were employed not to undergo security screenings but to retrieve products from warehouse shelves and package them for shipment. Nor were the screening “integral and indispensable” to those activities. 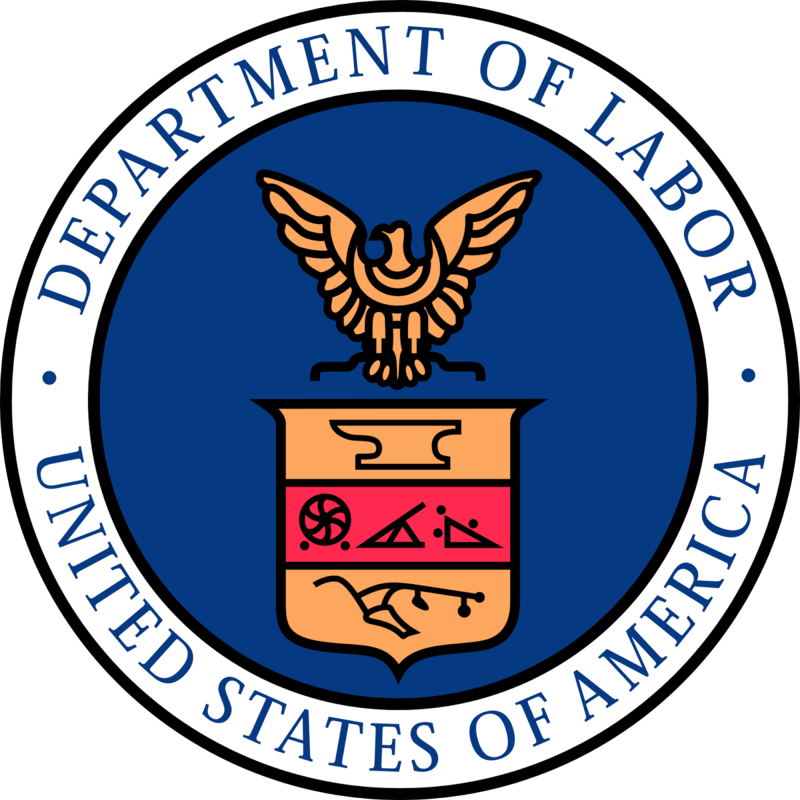 The Portal-To-Portal Act, which amended the FLSA in 1947, exempts employers from liability for activities that are “preliminary or postliminary” to a worker’s principle tasks. Common Sense Counsel: FLSA violations are the most common and costly employment lawsuit being brought and employers are paying out millions in settlements and attorney fees. With the FLSA self help to determine if you are in compliance is simply not a legal option and an ounce of prevention with a wage and hour audit is the only risk reduction strategy. The top three most costly violations are: 1) Misclassification of Exempt Employees. 2) Not Counting Every Hour Worked; and 3) Not Calculating Overtime Pay the FLSA Way. Abercrombie & Fitch’s religious headscarf battle headed to the United States Supreme Court in early October. Its stringent “Look Policy” dress code has come under fire in several cases from employees who say they were disqualified from getting, or keeping, a job because they wanted to wear a hijab, or headscarf. 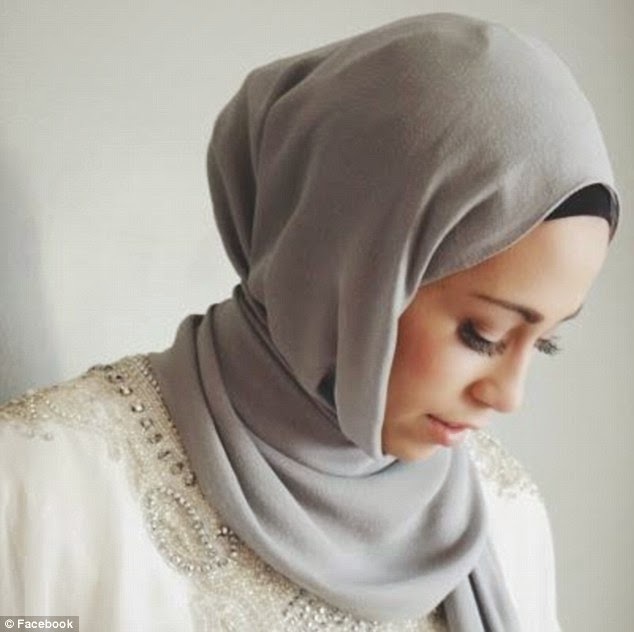 The Equal Employment Opportunity Commission (EEOC) filled suit on behalf of Samantha Elauf, a Muslim woman who was denied a job as a salesperson at an Abercrombie Kids store in Tulsa, Oklahoma, because she wore a headscarf at her job interview. However, Elauf didn't specifically say that she wanted a religious accommodation to wear it while working. A Federal District Court ruled in her favor, but an appeals court reversed the decision, holding that Elauf had to explicitly ask for religious accommodations. Look for Elauf to get her scarf back by Christmas. In another case, Consolidation Coal Company in West Virginia installed an attendance tracking system for payroll purposes at their Robinson Run Mine that requires employees to electronically sign-in using a biometric hand scanner for purposes of identification and time clock tracking. Employee Beverly Butcher is an Evangelical Christian with 35 years of service at the Mine. When faced with the biometric logging in, he meet with his manager and stated that he had a genuinely held religious belief that would not permit him to submit to biometric hand scanning providing his manager with a letter that he wrote discussing his genuinely held religious beliefs about the relationship between hand scanning technology and the Mark of the Beast and antichrist discussed in the Bible. He requested an exemption from hand scanning because of his religious belief. Butcher promptly retired and specifically informed his managers that he was retiring involuntarily, telling them that he was retiring under protest and felt that he had no choice but to retire because of their refusal to grant an exemption from biometric hand scanning. At least two persons employed at the Mine had been permitted exemptions from biometric hand scanning due to missing fingers. Last month the EEOC filed a Motion for Summary Judgment seeking a judgment for religious discrimination in its suit filed on behalf of filed Butcher in West Virginia U.S. District Court. Consolidation Coal last week urged the court to reject the EEOC's bid for summary judgment and instead grant judgment in its favor. Good chance Butcher will win this Bible sword drill. Common Sense Counsel: A reasonable religious accommodation is any adjustment to the work environment that will allow the employee to practice his/her religion and still work. An employer might accommodate an employee's religious beliefs or practices by allowing tasteful religious attire, flexible scheduling, voluntary swaps or modification of login requirements. All an employee needs is a strongly held religious belief to make such a request. I do not think the employer has a prayer in either case. The Occupational Safety and Health Administration (OSHA) on November 12, 2014, sent a letter to Big Box retailers to implement crowd control plans and other safety measures in preparation for Black Friday shoppers. In November 2008, Jdimytai Damour, a temporary employee at a Wal-Mart in Valley Stream, N.Y. Damour was knocked to the ground and crushed by a crowd of 2,000 shoppers rushing into the store for its "Blitz Friday" sales on the day after Thanksgiving. OSHA found that the store had failed to implement reasonable and effective crowd management practices fining the store $7,000 which is the maximum penalty for a serious violation under the law. To prevent a reoccurrence of this tragedy, OSHA sent the November 12th letter to major retailers, industry trade associations and local fire marshals advising them to adopt a crowd control plan to protect employees during the holiday sales season. Under OSHA guidelines, employers are responsible for providing a place of employment free of recognized hazards that are likely to cause serious injury or death. OSHA also published a Fact Sheet entitled, "Crowd Management Safety Guidelines for Retailers," which contains safety guidelines retail stores may adopt in addition to its own safety procedures. The guidelines are also excellent guidance on crowd control for any large event. · Where large crowds are expected, hire additional staff as needed and have trained security or crowd management personnel or police officers on site. · Create a detailed staffing plan that designates a location for each worker. Based on the size of the crowd expected, determine the number of workers that are needed in various locations to ensure the safety of the event (e.g., near the door entrances and throughout the store). · Ensure that workers are properly trained to manage the event. · Set up barricades or rope lines for crowd management well in advance of customers arriving at the store. · Make sure that barricades are set up so that the customers' line does not start right at the entrance to the store. This will allow for orderly crowd management entry and make it possible to divide crowds into small groups for the purpose of controlling entrance. · Ensure that barricade lines have an adequate number of breaks and turns at regular intervals to reduce the risk of customers pushing from the rear and possibly crushing others, including workers. · Provide a separate store entrance for staff. Provide door monitors there to prevent crowd entry. · Make sure that all employees and crowd control personnel are aware that the doors are about to open. · Staff entrances with uniformed guards, police or other authorized personnel. · Do not restrict egress, and do not block or lock exit doors. · Know in advance who to call for emergency medical response. 1. 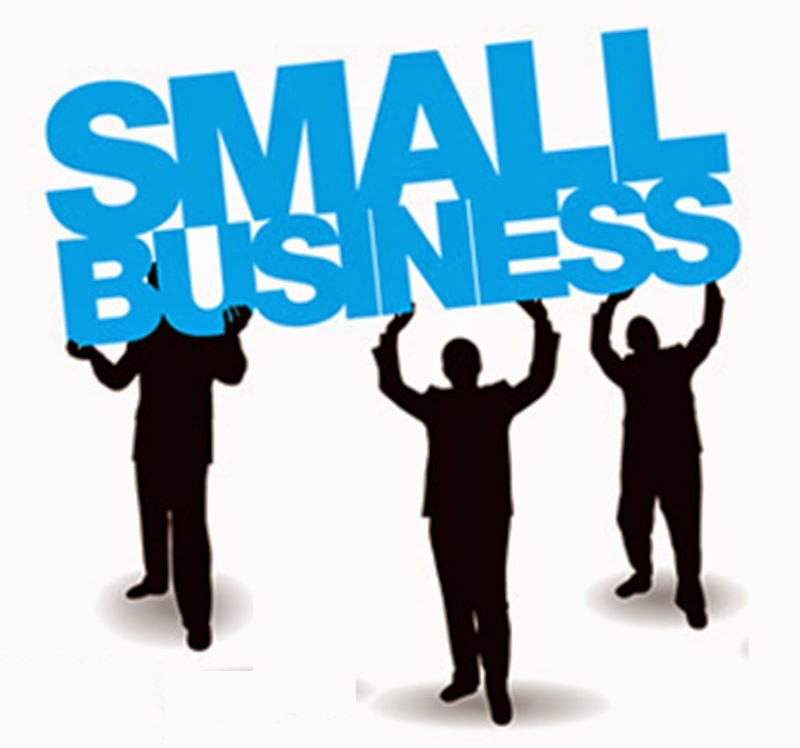 Are you an Employer covered by the “Pay or Play” Mandate? □ Are you subject to the 2015 pay or play rules based on your 2014 workforce (100 or more Full Time Equivalents [FTEs])? □ Have you included all controlled group and affiliated service group members in your coverage determination? □ If using a staffing company, are their workers also your common law employees (i.e. do you direct the means and manner of work performed is the 1st test)? □ Do any special transition rules delay your compliance deadline for 6 months? □ Have you properly classified each 2014 employee’s status with written documentation in his or her personnel file (i.e. full time, part-time, variable hour, seasonal or temporary)? 2. If you are covered? □ Do you have a form for those eligible employee who decline coverage to sign? □ If you use a staffing company, decide who will provide health coverage, or pay the premiums, and consider including that agreement in a staffing contract addendum (Client Employer must “participate” in the offer of coverage or risk ACA penalty). 3. Is your Plan compliant? □ Review plan(s) to confirm they satisfy minimum essential coverage rules (i.e. a “skinny plan” without hospitalization coverage will get you a fat penalty). □ Have you considered adding to your Alabama BCBS coverage a wraparound secondary policy of insurance for your employees to cover all deductibles and co-pays recently offered by BCBS of South Carolina? 4. Are you prepared for new 2014 W-2 Reporting? □ Who in your organization will be trained to file all required reports and required information on employee 2014 Forms W-2? 5. Are your employees prepared to pay the approximate $325 tax per family member for being uninsured in 2015? Tommy Eden is a partner working out of the Constangy, Brooks & Smith, LLP offices in Opelika, AL and West Point, GA and a member of the ABA Section of Labor and Employment Law and serves on the Board of Directors for the East Alabama SHRM Chapter and contacted at teden@constangy.com or 334-246-2901. 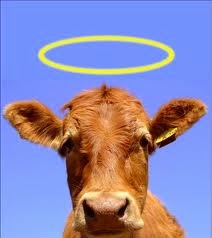 Blog at www.alabamaatwork.com with live links and downloadable checklist. IRS Circular 230 Disclosure: this column is for educational purposes only and does not constitute tax or legal advice and cannot be used, for the purpose of (i) avoiding penalties under the Internal Revenue Code or (ii) promoting, marketing or recommending to another party any transaction or matter addressed herein. In Rhode Island on November 12, 2014, the ACLU filed a state court Disability Discrimination and violation of the Hawkins and Slater Medical Marijuana Act lawsuit on behalf of Christine Callaghan, a University of Rhode Island graduate student intern applying to work for pay and class credit at Darlington Fabrics Corporation. Christine was also was a lawful cardholder in the Rhode Island medical marijuana program since 2013. The lawsuit alleges that Christine used marijuana to treat her migraine headaches and disclosed to a member of Darlington’s human resources department that she was a medical marijuana cardholder during her final interview. She was later called on a company speakerphone and told she would not be employed because she was a medical marijuana patient, according to the lawsuit. The Rhode Island Act grants employee discrimination protection to qualified card holders. The Act is found at G.L. 1956 Section 21-28-28.6-1. The Complaint completely ignores the issue that marijuana is illegal under federal law. The Case is Callaghan v. Darlington Fabrics Corp. in the Providence Superior Court. As a side note, the New York Times ran a story on November 6, 2014, that George Soros’ Open Society Foundation gave a 50 million dollar gift to the ACLU to mount an eight-year political campaign across the country to make a change in criminal justice policies, a key issue in local, state and national elections. Darlington is the first case in the country that the ACLU has filed such a claim to take up the cause of a medical marijuana cardholder. There are at least seven other states with exploit “status protection” to cardholders such as: Arizona, Connecticut, Maine, Nevada, Rhode Island, Delaware, Illinois, Minnesota, New York. In the State of Michigan on October 23, the Michigan Court of Appeals issued a ground breaking consolidated decision in three unemployment compensation appeals that all concerned medical marijuana cardholders. Jenine Kemp was employed by Hayes Green Memorial Hospital in Charlotte, MI, as a CT technician. The Hospital maintained a zero-tolerance drug policy and employees were pre-employment and reasonable suspicion drug tested. In May 2011, a patient complained that Kemp had inserted an IV line in the patient without using gloves, discussed the patient’s insurance coverage in a crowded area, and told the patient about her family’s drug use, including that she ate “special brownies,” according to court documents. An investigation followed and Kemp was directed to take a drug test. Kemp wrote on the consent form that she used medical marijuana. During the investigative meeting Kemp showed no objective signs of intoxication but tested positive for marijuana in a confirmed test. Kemp was terminated by the hospital for failing the drug test. Kemp later testified that she suffered from lupus, neuropathy, and chronic pain in her hand and she has first obtained a medical marijuana card in December 2010, which was valid at the time of her termination in May 2011. According to Kemp’s testimony, she was never under the influence of marijuana at work but used it between 6:00 p.m. and 7:00 p.m., and to her the effects were usually gone within two hours. She worked the Hospital’s 6:30 a.m. to 3:00 p.m. shift. Kemp applied for unemployment benefits but was initially disqualified for testing positive for an illegal substance. However, the decision was overturned by a Michigan Administrative Law Judge (ALJ) when she produced her medical marijuana card. 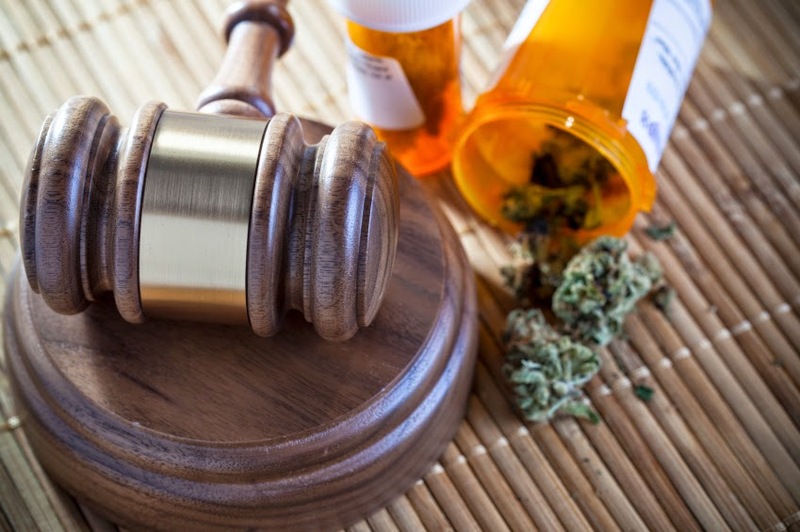 The ALJ explained that because marijuana was legally available to use for medical purposes, the issue was whether Kemp’s use of marijuana constituted misconduct or was illegal, and must include consideration of the Michigan Medical Marijuana Act (MMMA). Because Kemp used marijuana for medical purposes, the ALJ found that her use was lawful and did not bar her receipt of benefits. 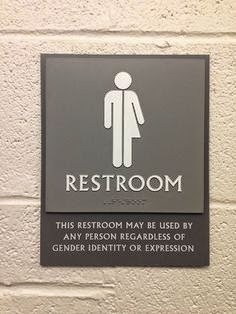 The MMMA provides that qualifying patients “shall not” (1) be subject to arrest, prosecution, or “penalty in any manner” or (2) be denied any “right” or “privilege,” “including but not limited to civil penalty or disciplinary action by a business or occupational or professional licensing board or bureau. . . .” On October 23, 2014, in a ground breaking decision, the Michigan Court of Appeals zeroed in on that language to find that the denial of the unemployment compensation benefits to Kemp, and two similarity situated Michigan employees, constituted an improper penalty for the medical use of marijuana under the MMMA. Most significant is the Appeals Courts acknowledgment that marijuana is an illegal drug under federal law but held that this was purely a state law issue. These combined appeal decision by the Michigan Court of Appeals is Braska etal v. Department of Licensing & Regulatory, Unemployment Insurance Agency decided October 23, 2014. 7. Stay tuned as this issue continues to create new employer challenges almost monthly. Laura Jones completed an application for employment at the Wal-Mart store in Cockeysville, Maryland and was told that she would have to take a drug test if offered a sales position. She told an assistant store manager that she had end stage renal cancer that prevented her from taking a typical urine test. Jones then went to the drug testing collection center and requested that an alternative specimen test be performed; which the center said could be done. She then took that information back to the store manager who refused to allow for the alternative specimen test and her application was closed for failing to submit to the urine drug test; according to the allegations of the lawsuit as reported in the EEOC Press Release. On October 21 the Cockeysville Wal-Mart store entered into a consent decree with the EEOC, who had earlier allegedly in a federal court lawsuit brought on behalf of Jones, that the store had breached the Americans with Disabilities Act by failing to reasonably accommodate her disability by refusing to accept an alternative specimen test. Wal-Mart agreed to pay Jones $72,500 plus entered into a consent decree that provides for notice to applicants of alternative specimen testing for those persons "whose physical condition prevents them from producing urine" and who request some accommodation in the pre-employment drug screening process. The consent decree provided for a blood test as the alternative specimen that is rarely used in workplace drug testing. Wal-Mart also agreed to provide 90 minutes of hiring manager training on the accommodation process and to post a mandated notice to all store employees. The case is the EEOC v. Wal-Mart Stores East, LP in the Baltimore United States District Court. The EEOC also has a pending case against Kmart involving an almost identical issue in Hyattsville, Maryland. 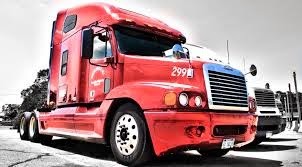 Common Sense Counsel: since 2001 the United States Department of Transportation has followed a shy bladder procedure found at 49 CFR Parts 193 & 195 of the DOT drug and alcohol testing regulations. This process is meant to differentiate a legitimate medical explanation for not being able to produce a urine specimen from those trying to beat a drug test. Earlier this month the U.S. Department of Labor’s Wage and Hour Division and the Alabama Department of Labor signed a memorandum of understanding covering misclassification as something other than employees, such as independent contractors. The agencies committed to work together to cross report possible violations when discovered. This Misclassification Initiative, with the stated goal of preventing, detecting and remedying employee misclassification, has already been signed with state agencies in California, Colorado, Connecticut, Hawaii, Illinois, Iowa, Louisiana, Maryland, Massachusetts, Minnesota, Missouri, Montana, New York, Utah and Washington. The DOL Wage and Hour Division reports on its website that in Fiscal Year 2013, investigations resulted in more than $83,051,159 in back wages for more than 108,050 workers in industries, such as janitorial, food, construction, day care, hospitality and garment. Common Sense Counsel: Next time you are trying to decide how to properly classify someone, as an employee or an independent contractor, understand that the right to control the means and manner of performance is a key factor-with about 20 other factors to boot. So ask yourself the following questions before you hire that person as a 1099 contractor and not an employee. • Does the business want to hire this individual as an employee to provide the same or similar services following a “test period” as an Independent Contractor? • Will the individual be required to devote essentially full-time hours to perform services for the business, making the individual unable to perform services for other customers during the performance period? • Will the individual be expected or required to perform essentially full-time work hours at the business or at facilities operated by the business? • Will the individual be required to comply with instructions from a business supervisor, as to where, how, and when the work is to be performed? • Will the business be responsible for hiring, supervising, and paying workers who will substantially assist the individual in performing the requested services? • Will the individual work as part of a team of regular employees and will the individual’s day-to-day participation be essential to the successful performance of the employee team? • Is the individual expected/required to perform work during hours that are set by a business supervisor? • Will the individual perform services for which the business is concerned with the methods used to obtain the results (and not just with the results)? • Will the business provide a significant amount of tools, equipment, or other materials needed by the individual to perform the agreed-upon work? In September 2006, Edward Lane accepted a probationary position as Director of Central Alabama Community College’s Community Intensive Training for Youth Program, a program for at-risk youth in Alexander City, Alabama. Lane promptly audited the program’s finances and discovered that then state representative Suzanne Schmitz was listed on the payroll but was not reporting for work and not otherwise performed tangible work for the program. Schmitz lived in Madison County but refused to report for work at the Huntsville campus. When Lane raised his concerns about Schmitz internally, College President Steve Franks warned him that terminating Schmitz’s employment could have negative repercussions for both Lane and the College. Despite these warnings, Lane terminated Schmitz’s employment for refusing to report to work. Schmitz was eventually convicted of federal mail fraud and sentenced to 30 months imprisonment; 36 months of supervised release, 360 community service hours and pay back the $177,251.80 she received in public funds. Within 90 days after Lane testified at Schmitz's first federal court trial, he was fired by College President Franks. Lane then filed a lawsuit claiming that his termination was in retaliation for his testimony given in the Schmitz case, in violation of his Free Speech First Amendment right. On June 19, the United States Supreme Court held in a unanimous decision that Edward Lane should not have been denied First Amendment protection, and fired, for his subpoenaed testimony that was a matter of public concern. The high court then sent the case back to the 11th Circuit Court of Appeals on the equitable relief and damages issues. On October 10, the 11th Circuit held that Lane may seek the equitable relief of reinstatement to his former position at Central Alabama Community College for the First Amendment violation. However, the Court did find that the 11th Amendment to the Constitution precludes an award of damages against the State of Alabama and the College President. 5) Praise the internal whistleblower instead of firing them. Wal-Mart, who once embracing the Affordable Care Act (ACA) exchange system, earlier this week notified its 30,000 part time associates, those working less than 30 hours a week, that it will be ending their group coverage January 1, 2015. It also began opening up enrollment kiosks staffed by licensed brokers of DirectHealth.com in 2,700 of its stores as a heath care shopping alternative. With this move, Wal-Mart manages to cut the cost of insuring 30,000 of their employees by forcing them to either a subsidized ACA policy, or in some states that expanded coverage, on to Medicaid. Alabama chose not to expand Medicare coverage. Target Corporation, Home Depot and Walgreens have already announced that they are dropping coverage for part time employees. Wal-Mart also said insurance premiums for its other employees will be increasing in 2015 by $3.50 for a total of $21.90 per pay period. Beginning in 2015, the ACA will require businesses with 100 or more employees to offer affordable healthcare coverage to employees who work at least 30 hours a week or pay a penalty. The same requirement will be extended in 2016 to businesses with 50 or more workers. No reprieve is on the current political horizon. Another significant ACA issue for those who use staffing company employees, is recent ACA IRS interpretations that a Client employer must be able to prove that its staffing company employees were offered affordable health care coverage. For purposes of the pay-or-play mandate, when the Client is the common law employer, an offer of coverage made by the temporary staffing firm "on behalf of" the Client employer will be considered to be an offer of coverage by the Client employer. For an offer of coverage to meet the IRS test, the Client employer must pay a higher fee to the temporary staffing firm for those employees who enroll in the temporary staffing firm's group health care plan. For example, if the staffing contract provides for a flat fee per employee placement irrespective of whether the employee enrolls in the staffing company's coverage, the employer will not be considered by the IRS to have made an offer of coverage. This could lead to a Client employer penalty under the pay-or-play mandate's $2,000 per full-time employee "no coverage offered" if more than 5% of its full-time employees (30% in 2015) are employed through the staffing agency. As a reminder, when a donor provides a prescription for a non-negative laboratory test result, as the MRO, you are responsible for determining whether the medical explanation is legitimate. In accordance with 49 CFR Sections 40.137(c), 40.139(b), and 40.145(e), the donor has the burden of proof that a legitimate medical explanation exists. The donor must present information meeting this burden at the time of the verification interview. You may extend the time available for the donor to present the information for up to 5 days. If the donor fails to provide information you have requested (e.g., does not produce a prescription or does not facilitate the treating physician’s contact with you), you may proceed in making your determination. Any time you make the determination to verify a laboratory positive result negative because of a legitimate medical explanation, you may have a responsibility to raise fitness-for-duty considerations in accordance with 49 CFR Section 40.137(e)(4) and 40.327. In raising these concerns, you are only authorized to provide information learned through your verification interview with the employee’s employer, a physician or health care provider responsible for determining the employee’s medical qualifications under a DOT agency’s safety regulations, a SAP evaluating the employee as part of the return to duty process, a DOT agency, or with the National Transportation Safety Board during the course of an accident investigation. Officials of the U.S. Department of Labor’s Wage and Hour Division and the Alabama Department of Labor yesterday signed a memorandum of understanding to protect the rights of employees by preventing their misclassification as something other than employees, such as independent contractors. The memorandum of understanding represents a new effort on the part of the agencies to work together to protect the rights of employees and level the playing field for responsible employers by reducing the practice of misclassification. The Constangy offices in Alabama have work extensively with the General Counsel for the Alabama Department of Labor and you may direct any inquires you have about this new MOU to Tommy Eden at teden@constangy.com or 334-246-2901. During the Tuesday Colorado Supreme Court hearing the justices did little to telegraph how they may vote. 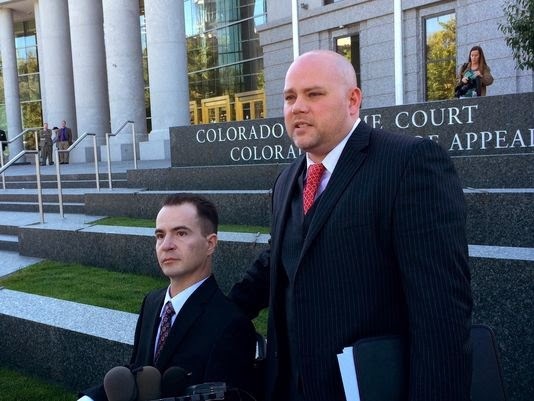 Only six of seven justices will decide the case as one recused himself because his father sits on the Colorado Court of Approval. Each side was asked to draft a proposal opinion for the justices to consider. A ruling may be months away. A tie means that the Court of Appeals ruling for Dish stands.